Habitat Housewares opened in Anchorage in 1975. We have learned how to do what we do very well. We have long established relationships with our manufacturers, their representatives, and our customers. We work hard to maintain our title of Alaska’s #1 Gourmet Cooking and Entertaining Store. We offer a huge selection of high quality cookware, small kitchen appliances, bakeware, kitchen tools, dinnerware, party accessories and gourmet food options. We travel the world to bring you exciting new products, kitchen essentials, and stylish gadgets and gizmos. We introduced Anchorage to All Clad, Jura Capresso, and large Fermenting Crocks. We are the sole Alaskan source of Italian hand-blown crystal stemware known as Bottega del Vino. We strive to be knowledgeable about our products and to offer you sound advice. Shopping locally has a profound effect on a city’s economy: 68 cents of every dollar spent locally stays here; 43 cents of every dollar spent at a big box or chain store stays here and zero cents of any dollar spent online at a business with no physical presence in the state stays here. Here at Habitat Housewares, you'll find quality brands proven to be the very best in housewares. Our brands have been hand chosen for your home. With more than 40 years of houseware knowledge, we continually select products and brands that our customers come to know and trust. We've curated collections for the beginner cook to the professional chef, featuring products for everyday to the hard to find and one-of-a-kind. 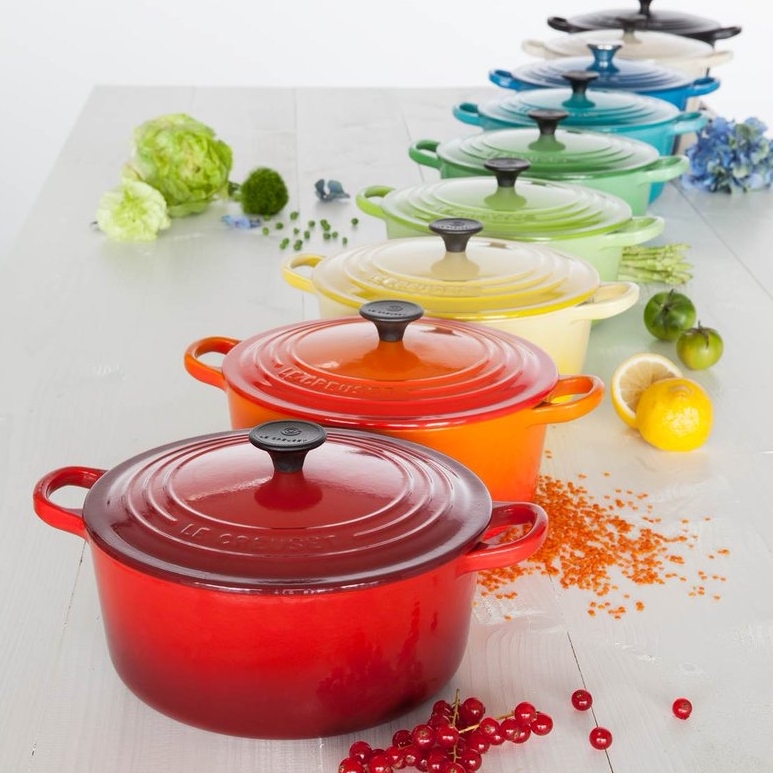 You may know Le Creuset for their iconic brightly colored French Ovens, but they are so much more. Le Creuset features their signature color palette on cookware, bakeware, tableware and so much more. These dishes merge bold and vivid colors for a presentation suitable for every occasion. This collection's famous colors coordinate perfectly together to create dinnerware sets all your own. The innovative, high-performance bonded cookware that All-Clad is known for is handcrafted in the USA by American artisans using American steel to produce a complete line of superior cookware. Check us out on YouTube for video recipes, product demos and more. Preview a fun video here from our Test It Out Tuesday series!